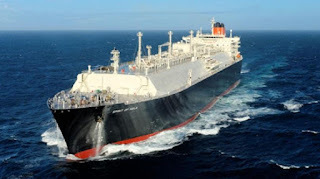 PAPUA LNG project in Papua New Guinea is getting more attraction around the world as it progresses to become a reality. Project developer Total SA managing director Philippe Blanchard said this yesterday. Mr Blanchard said this yesterday when he and Kumul Petroleum Holdings Limited managing director Wapu Sonk farewelled two KPHL national staff, who would be on secondment in Total head office in Paris, France, to learn more about marketing of the Papua LNG to the global market. Mathilda Namorong, a senior lawyer and Ephraim Tammy, a petroleum engineer will leave for Paris next month. Mr Blanchard said Papua New Guinea has proven around the world that PNG LNG is a very reliable source and that you can count on them to deliver the gas.